If you want a little crossover then you’re spoilt for choice. 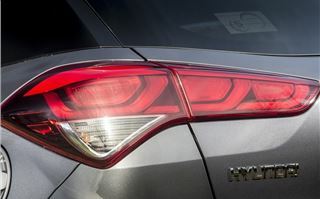 And now Hyundai is joining in with a chunkier-looking version of the i20. 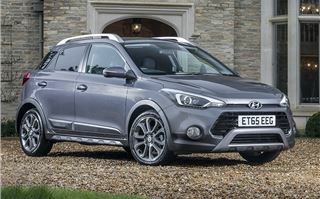 Called the Active, it’s firmly an on-road car, with front-wheel drive only, but it gets off-road style roof bars and black body-cladding. 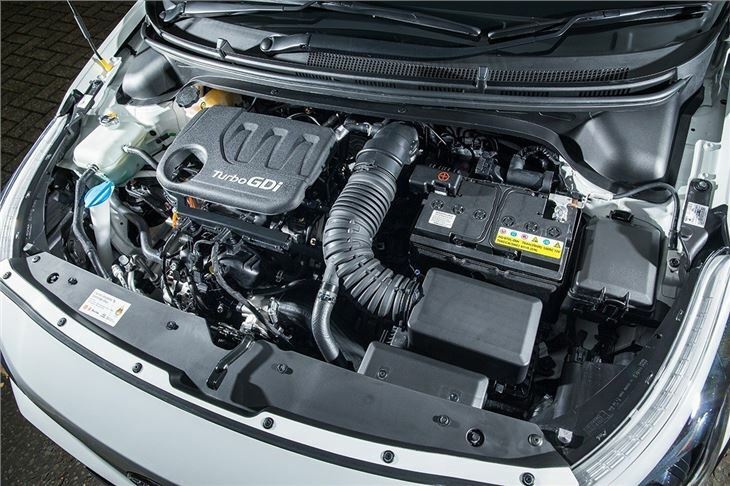 It’s available with one engine and transmission combination – but fortunately it’s the all-new 1.0-litre T-GDI petrol, producing 100PS. 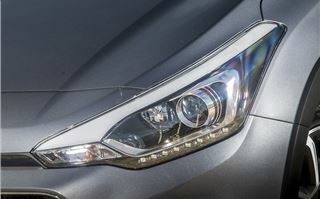 This is linked to a five-speed manual and replaces the old, lacklustre 1.4-litre petrol. 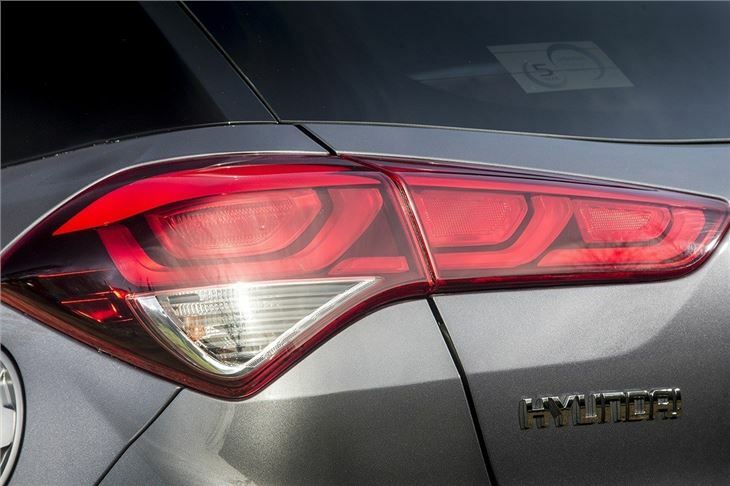 It’s in a different league to the old engine – it’s more responsive, more flexible and more economical, with official figures of 58.9mpg and CO2 emissions of 110g/km. 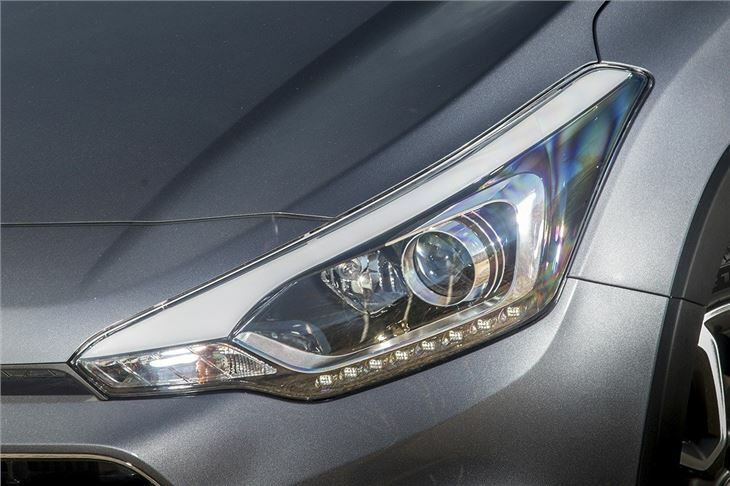 Peak torque is 171Nm, available from 1500rpm, which means easy overtaking and strong acceleration, even from low engine revs. 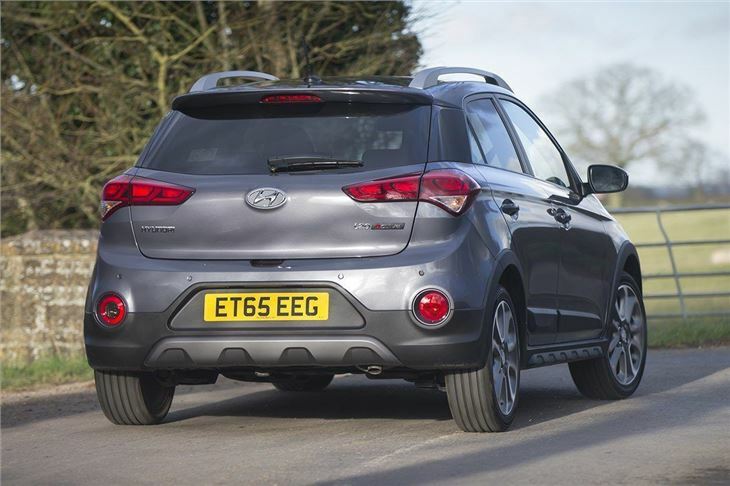 That flexibility means there’s no need change down through the gearbox when tackling twisting roads or passing slower traffic. It’s a quiet engine, too, with little noise unless pushed hard - but that's not really necessary most of the time. 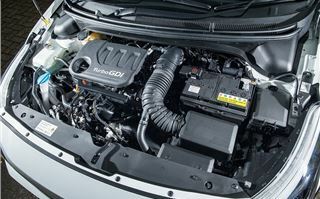 The same engine is available with more power and a six-speed transmission, producing 120PS. 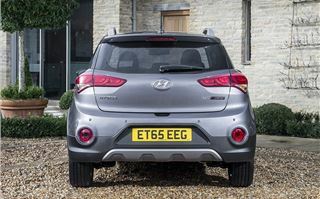 Unfortunately if you want it you’ll have to forgo the chunky off-roader styling – Hyundai doesn’t offer the 120PS variant in the Active trim level – though the performance difference between the two versions is marginal in real world driving. 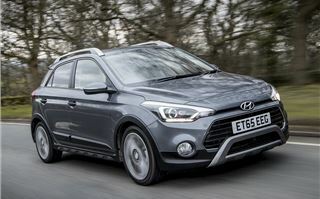 Aside from the beefier styling, the Active also rides 20mm higher than a standard i20. That’s not a lot – rampaging across a field is out of the question – but on the road it makes for ever-so-slightly more supple ride quality. 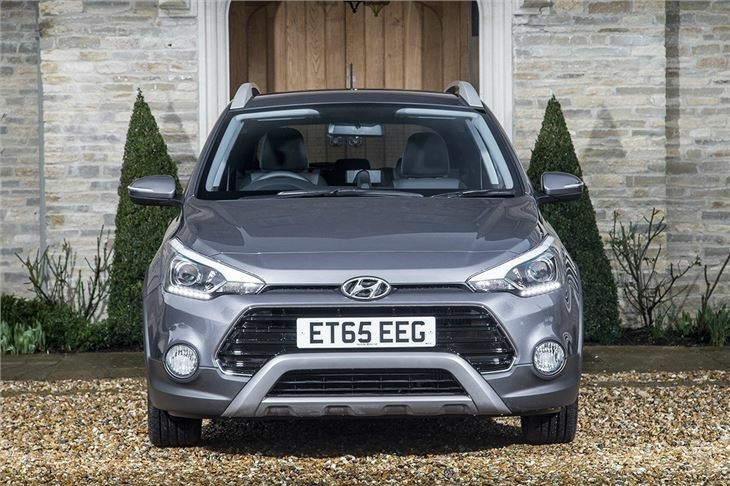 Over most surfaces the i20 Active is comfortable, though it does jiggle a little over particularly broken or potholed road surfaces. Road manners are very good. There is some body lean in corners but the level of grip is excellent, even on damp roads. 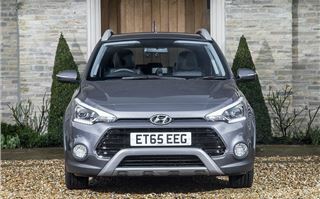 There isn’t much in the way of feedback through the steering wheel and the gear change, while light, isn’t particularly rewarding – but while the i20 Active isn’t exciting it is capable and extremely easy to drive, whether in town, on the motorway or in the countryside. 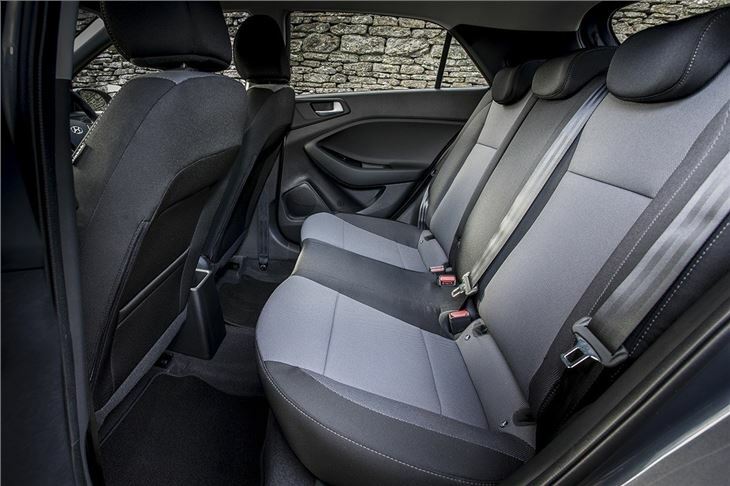 Inside, the i20 Active is the same as any other i20 and that’s very much a good thing. Material quality is excellent – the plastics are sturdy and everything is very well put together. 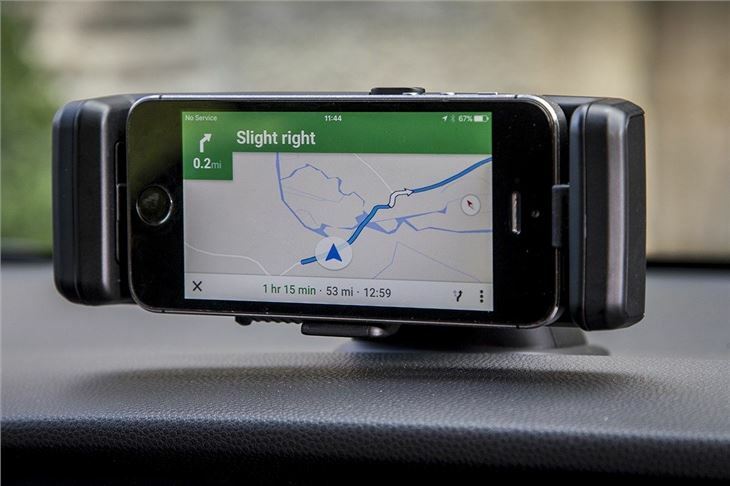 The instruments and centre stack are clearly and sensibly laid out plus there is a good level of standard equipment, including air conditioning and Bluetooth connectivity for phone and audio streaming. At the top of the dashboard is a mobile phone cradle so smartphone owners, whether using Android or Apple phones, can access phone functions like navigation safely while on the go without draining their battery. Unfortunately those with Google Nexus phones can’t use the cradle since the charging port is positioned so the phone faces backwards. Fortunately, for those not interested in having a phone in the cradle, it can be removed, plus there are two 12V outputs and a USB port, so enough outlets to charge several devices at once. Also fitted as standard are rear parking sensors, 17-inch alloy wheels, LED daytime running lights, cruise control and DAB radio. 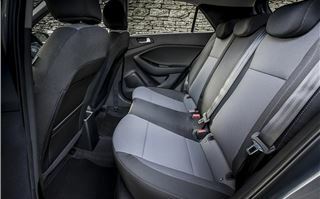 The back row of seats is spacious enough for a pair of adults, with ample head room and a reasonable level of legroom, provided the front-seat occupants aren’t too tall. 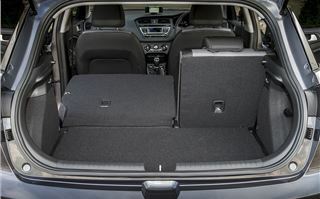 The boot is wide and flat, with a capacity of 326 litres and there is an extra layer under the boot floor, so small items can be stored out of sight. 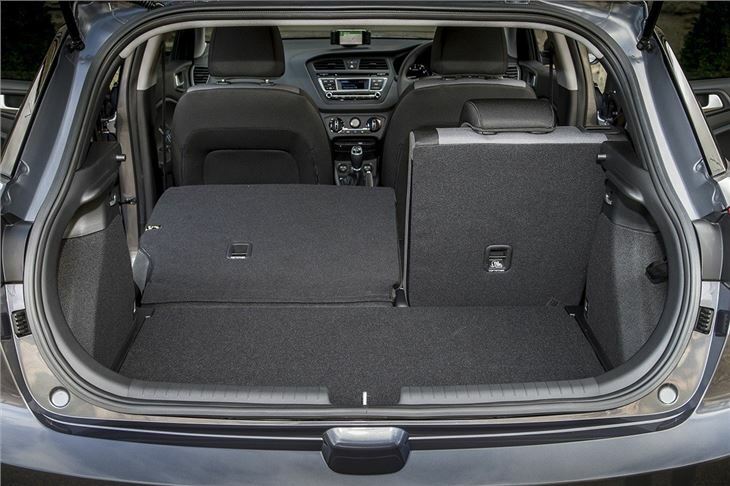 Folding the rear seats provides an almost flat load area of 1042 litres. 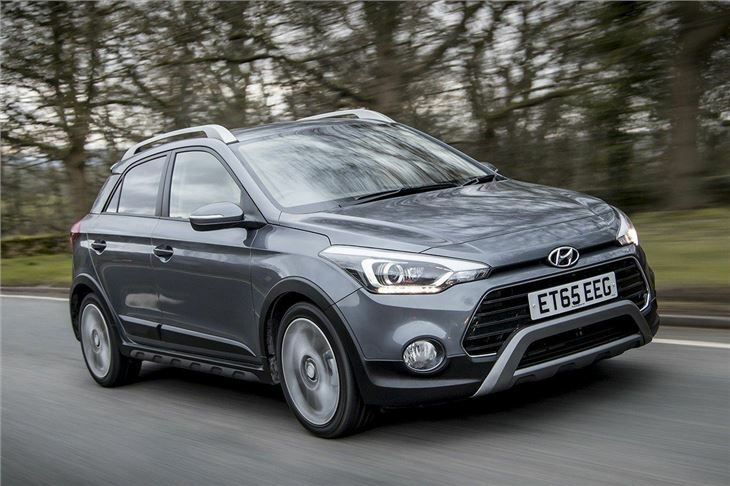 It’s easy to admire the i20 Active. The weakest aspect of any i20 in the past was the engine range – but the new 1.0-litre petrol brings things the car right up to date in terms of driving dynamics and running costs. 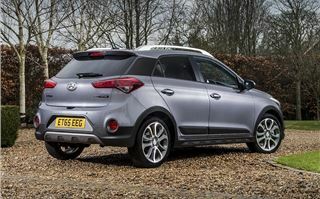 Pairing it with pseudo off-roader styling is just a bonus – though the engine is available in other trim levels if you’re looking for a traditional hatchback. 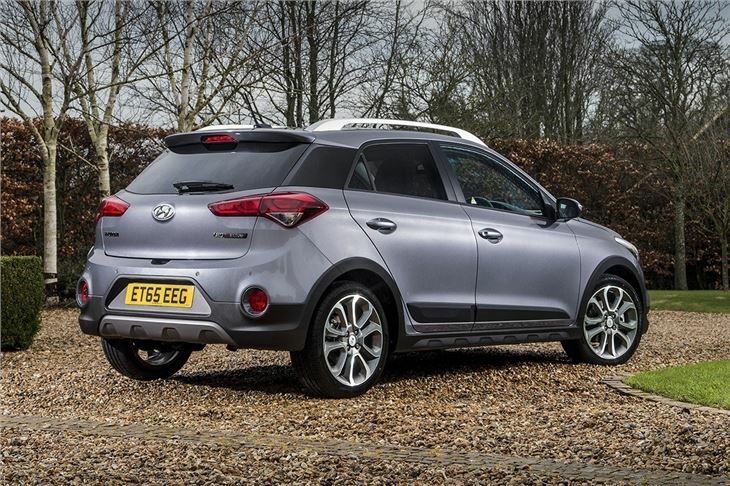 If you’re hoping for some all-weather or off-road capability then you’ll need to look elsewhere. 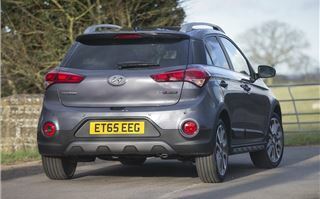 The Panda Cross, for example, is available for a similar price to the i20 Active and it copes in all kinds of conditions – though it is less practical. 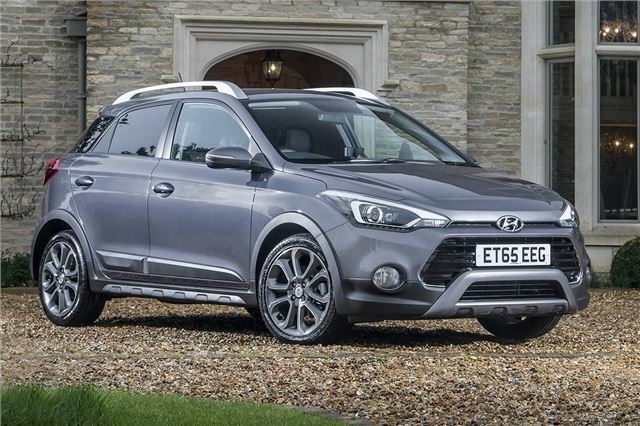 However if you really like the chunky styling and you’re not concerned about driving up farm tracks then the i20 Active is a great choice of small car.